Get in the spirit of fall with beer festivals, kid-friendly fall fests, cookie dough and more. WASHINGTON -- It's officially autumn in the District. If you’re dreaming of scarves, pumpkin spiced lattes, and orange and yellow leaves, this list is for you. 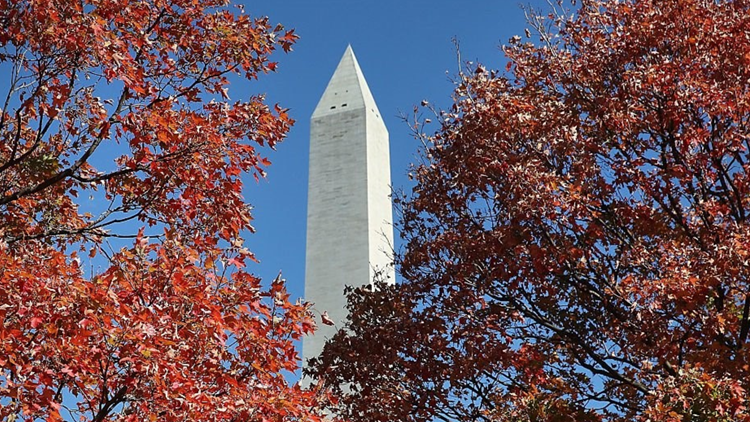 Here’s how you can celebrate autumn in D.C. If you want to see the leaves change, take a day trip to Shenandoah National Park or Harper’s Ferry. 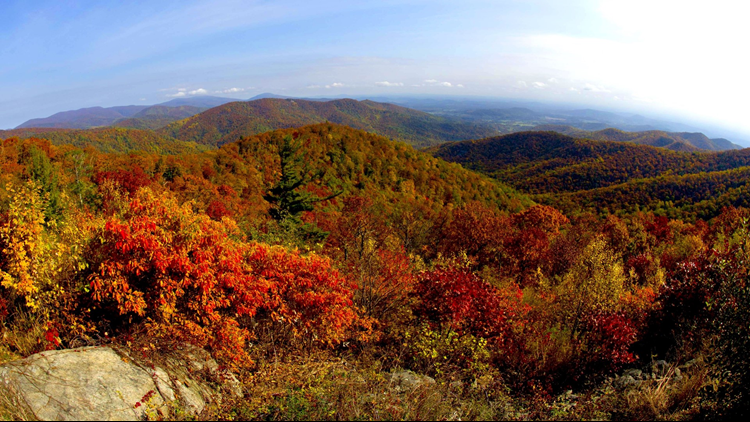 Drive along Skyline Drive to get the most out of the fall foliage at Shenandoah National Park. If you want to see the leaves, but can’t travel, pack a picnic and walk through Rock Creek Park. You can also go down by the Tidal Basin or visit the National Arboretum. Zoolights, an annual event where the National Zoo is lit up with colorful lights in the shapes of animals, is coming back on November 23 and will run through December 31. Ditch the kids for a night and visit Brewlights on November 29 as you see the lights and enjoy some craft beer. Cider fans, rejoice. The Rosslyn Cider Fest will be on Thursday, October 11. Tickets are $10 for eight samples from participating cideries. Better yet, there will be food trucks on-site, serving up goodies like donuts. The 14th Annual Merrifield Fall Festival in Fairfax, Virginia will take place on October 13. Experience the food of the Mosaic District, entertain your kids with activities, and check out the beer garden for yourself. Have date night at Nationals Park, but not for the game. D.C.’s Beer Festival will be on November 3 and will feature local craft breweries and seasonal brews. Tickets are $45 which includes unlimited tastings. Postponed due to Hurricane Florence, H Street Festival will now take place on October 13. Eleven blocks long with rows of vendors selling food, jewelry, and more, H St. Festival has something for everyone. Halloween-favorite Hocus Pocus will be screened in the Northwest, D.C. Crispus Attucks Park on October 26, thanks to LGBTQ+ group BloominGays. If you can't see this one, you can go at 7 p.m. on the Friday nights prior to see The Goonies and The Nightmare Before Christmas. The Smithsonian Museum of African American History and Culture will be holding their inaugural film festival on October 24-27. Diverse filmmakers from all of the world will be showcasing their films and there will be opportunities for talkbacks, masterclasses and networking. If you can’t make it to the festival, the museum recently began a pilot program that allows visitors to walk up to the museum without timed passes on weekdays. On September 29, Port City Brewery will be celebrating with live music in their parking lot as well as local food trucks. There will be a stein race, a costume contest and more. Dacha Beer Garden will be celebrating Oktoberfest every Saturday from September 22 through October 6. There will also be weekday events, including a Dogtoberfest, giving you the perfect opportunity to buy a costume for your dog. Wuntergarten will be celebrating Oktoberfest from September 28 to September 30. It will include traditional live Oktoberfest music and, yes, a dog-costume contest. Seven Cedars Farm will be having a family-friendly fall festival on September 22. Parking and admission is free. There will be karate demonstrations, dance performances, face painting, sand art and more. The D.C. State Fair will be on September 23 in Southwest, D.C. There will be food and craft contests, a pet parade, and more, all in celebration of agricultural and artisan talents in the District. Forgo your bedtime and enjoy Art All Night. On September 29 starting at 7 p.m. through 3 a.m. the following morning, you can explore art in eight D.C. neighborhoods, including North Capitol, Congress Heights, and DuPont Circle. Throughout the night, some embassies will open their doors to visitors, live performances will take place, chalk drawings will be created in front of you and more. Fall never tasted so good. To ring in the new season, Georgetown Scoop Shop will be giving the first 30 customers on September 21 the chance to try their new seasonal flavors: Chai Latte and Salted Caramel Pretzel. Say the secret word "FEST'DOUGH'VAL" and get $1 off. This list will be updated with more events as they become known.